ECHL Team Plans "Indoor Winter Classic"
Ah, the Winter Classic, perhaps the NHL's best innovation of the Bettman era. There's something pure about a game played out in the elements—bundled up, plenty of hot cocoa in reserve, the puck occasionally at the mercy of winds, and perhaps, if you're lucky, a light snowfall to add that magical touch. If you ignore Doc Emrick, you can pretend it's just a large game of shinny. The NHL hates you so it canceled the Winter Classic, along with hundreds of regular season games. But fear not! The ECHL's Las Vegas Wranglers are going to have their own "Indoor Winter Classic" on New Year's Day. It'll be just like the real one, only not outside. "The game will feature many arena doors being left open in hope of creating unpredictable breeze patterns," said Wranglers President and Chief Operating Officer Billy Johnson. "We are hoping for quite a draft." Minor pro hockey is all about off-the-wall promotions. It was the Wranglers who famously brought you "Over 18 Night," hockey with a DJ, open bar, and strippers on the concourse. So this is just a hook to bring attention to a regular Tuesday game, but we'll always give points for creativity. 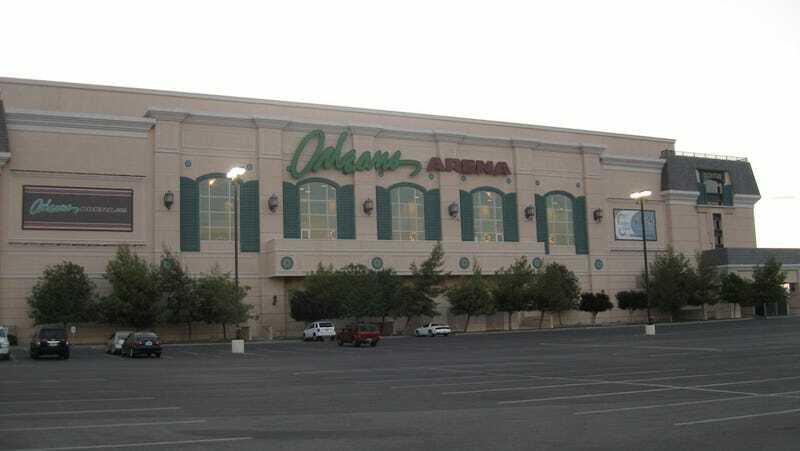 Johnson hopes that the Indoor Winter Classic will become a tradition and grow too big for the Orleans Arena, and "we will be forced to move it outdoors." But by then, the NHL will probably be back. Right? ...Right?